Welcome to Oviedo where you’ll find an intriguing blend of the old and the new. With busy, modern shops in contrast to the lovely Casco Antiguo, Oviedo has something for everyone and is a place of sophistication while at the same time a student city that has a heavy industrial past and present. 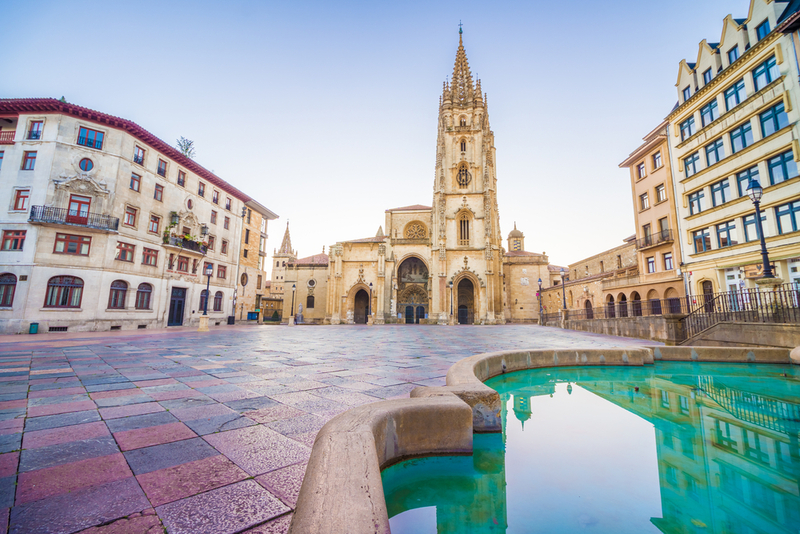 Fun is high on the agenda here so take Oviedo as you find it and you’ll appreciate this intriguing and beguiling Spanish city. While there be sure to check out the sights we’ve highlighted below, a must for any trip to Oviedo! If you like your food this is the place to go and with two Michelin stars this restaurant oozes quality while not being too heavy on your purse strings. Asturian chef Nacho Manzano shows off his culinary genius in Oviedo in his casa de comidas (food house). With all food perfectly prepared, and a choice of the very best quality in tapas, raciones or main meals. Just 500m northwest of the central Campo de San Francisco the restaurant Gloria may be a bit of a treat, but one you deserve, surely? Dating back to the 9th-century the cathedral was originally known as the Camara Santa, a pre-Romanesque chapel built by King Alfonso II to keep holy relics. The chapel gained its current design during the 13th and 18th centuries and this is shown in the nave where you’ll see the altar which is a wood-carved Hispano-Flemish piece that was made in 1517. In the north-western corner of the chapel are said to be the bodies of six monks, including king Alfonso II. 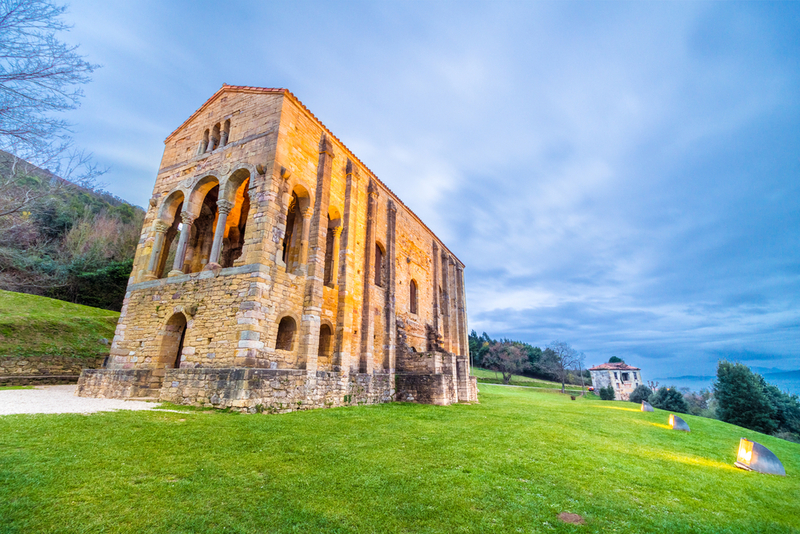 Jump on a bus near the train station and head up the slopes of Monte Naranco and you’ll find the impressive Palacio de Santa Maria del Naranco which is a perfect example of Asturias’ unique architecture and was first built in the 9th century. Take a look at the wonderful sogueado which is the style of sculpting using rope as its art form. 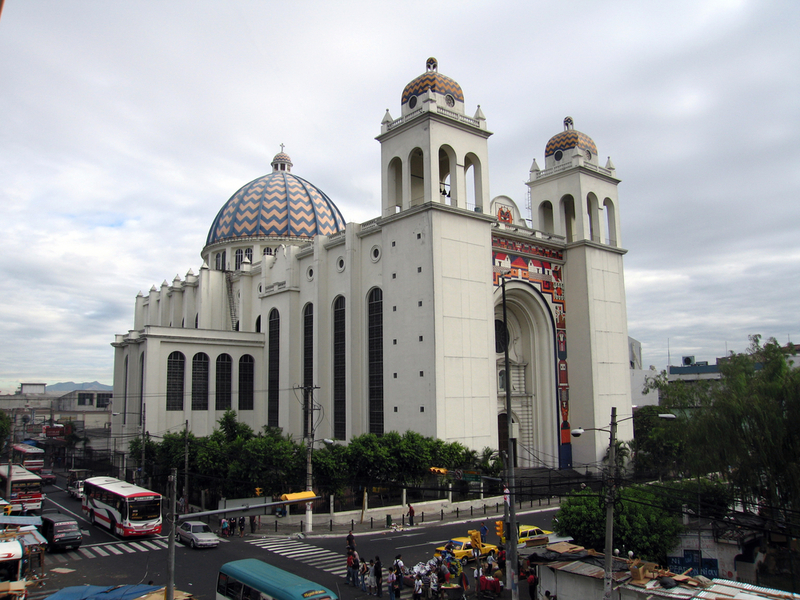 Tours are available and are recommended for the quaint but impressive edifice. Asturias’ fascinating past makes this museum a very interesting place to go and visit. Built within a restored 16th-century monastery, the museum has gone a long way to show of the region’s history to its very best with informative displays and plenty of information for the tourist. You can find out here all about the region’s prehistoric cave art and about life in Roman times. Upstairs you´ll find more relics showing off Oviedo’s rich past and a helpful guidebook in English is also available to guide you on the way around. Ready for something different in Oviedo? Well how about an old-town house that has been transformed into Oviedo’s favourite and most popular party spot? Here you’ll find wonderful mosaic floors with low lighting. This really is a top spot in ton and well worth a visit whether just for a drink or for one of the delicious meals on offer. Prices range from 10€-17€ so it’s an affordable trip for all the family and at the same time you’ll be in the coolest place in town! With the newest fleet in Europe Goldcar is a market leader in car hire, and specialises in the tourism sector, Offering the very best deals, Goldcar has office in over 80 top destinations and via offers and promotions offers some of the cheapest prices for car rental on the market. Over 1,000 staff manage the fleet and are dedicated to making sure your holiday with Goldcar is the easiest and most enjoyable possible.